We are pleased to announce that Qbag is now distributed in Australia and New Zealand by Master Distributors. To celebrate our re-entry into Australia our house brand retail packaging has been redesigned and a brand new multipack SKU has been developed. 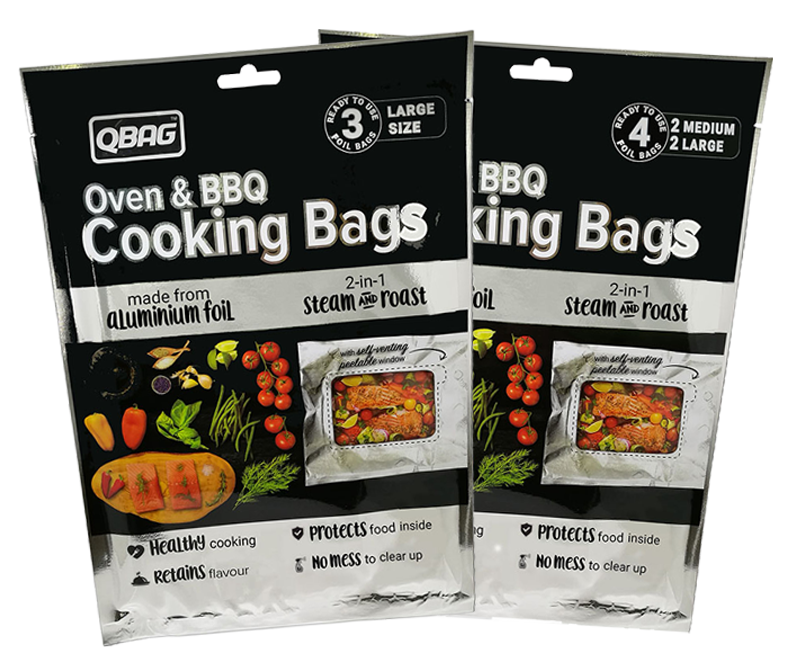 Consumers will be able to buy the Qbag Large 3PK and Qbag Family 4PK at Bunnings Warehouse from October 2017. 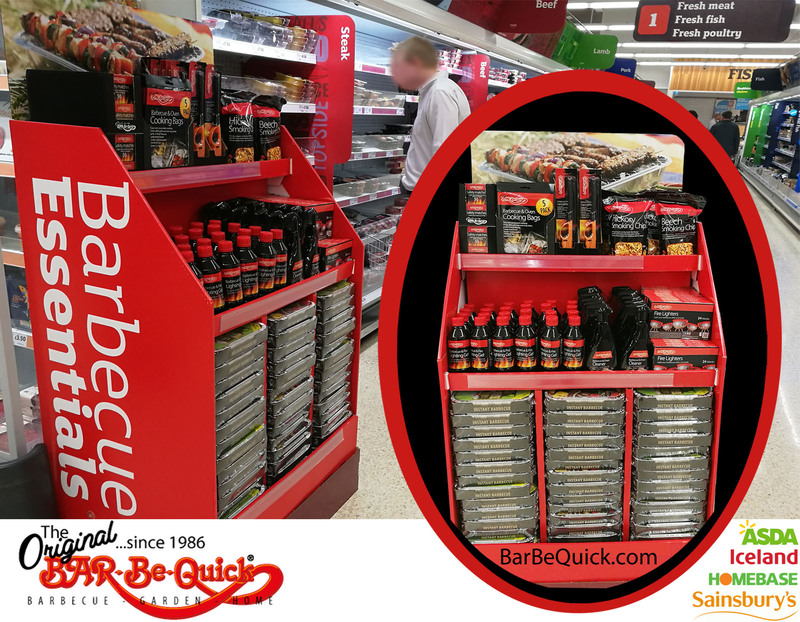 Bar-Be-Quick® have been pioneering Qbag as part of their BBQ Accessories range since 2013 alongside their famous Instant Barbecue - a long established feature of any British Summer! 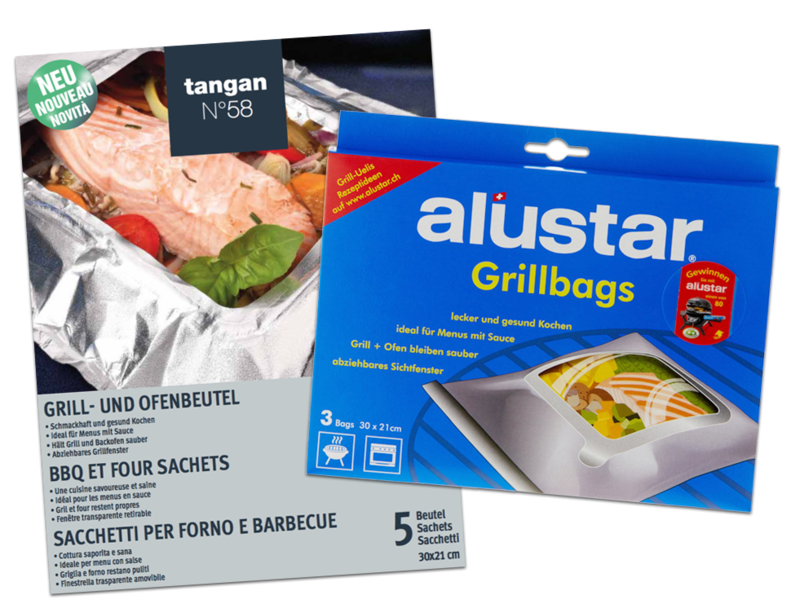 Available seasonally at Sainsbury's, ASDA-Walmart, Dunelm, Dobbie's Garden Centres, Crawshaws Butchers, Homebase (new in 2017), Bar-Be-Quick® Barbecue & Oven Foil Cooking Bags retail at GBP £4.25 per 5PK. 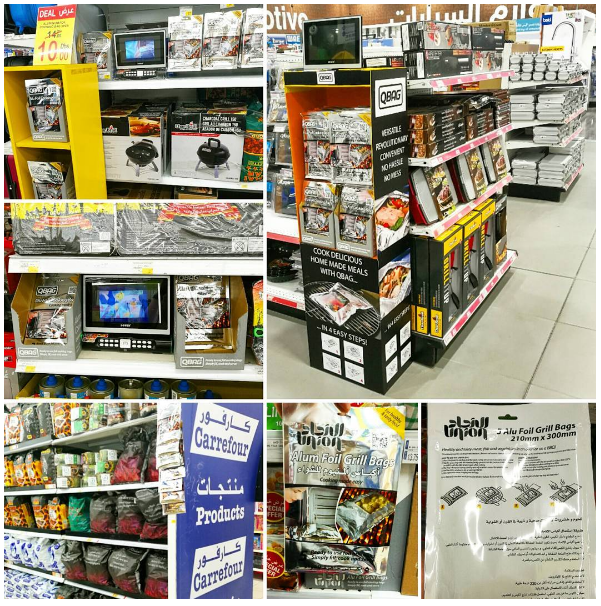 Brand new in 2017 is the opportunity for shoppers to collect four recipes designed exclusively for cooking easy and convenient food in Qbag. Each pack contains 2 recipes printed on 1 recipe card to find and keep! 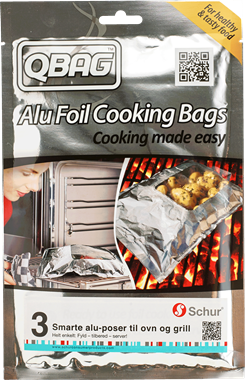 UK Food and Non-Food Retailers: please contact Rectella International Ltd.
We have teamed up with innovative Danish consumer products manufacturer, Schur, to offer our unique Qbag Alu Foil Cooking Bags to the Danish market. Now available in COOP in packs of 3 Medium Size Qbags with Window (21 x 30cm) in a Qbag and Schur dual-branded retail unit with the 4 Scandinavian languages & English on the reverse. Each pack retails at 20.00 DKK (approx 2.99 EUR). Link to buy online below. COOP, under private label. Medium 3PK retail price: CHF 3.95.